In this paper we demonstrate how the formal model constructed in our previous work , can be modified in order to analyse additional Buyer-Seller Watermarking Protocols, identifying which specific sections of the CSP scripts remain identical and which require modification. 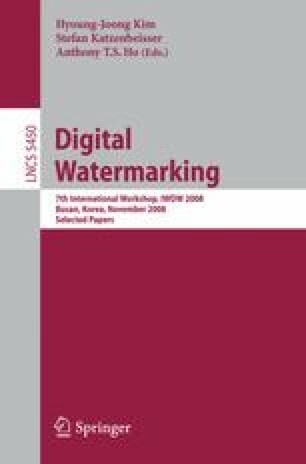 First, we model the protocol proposed by Memon and Wong , an examplar of the Offline Watermarking Authority (OFWA) Model, defined in the framework by Poh and Martin . Second, we model the Shao protocol  as an example of a protocol fitting the Online Watermarking Authority (ONWA) Model. Our analysis of the protocols reaffirms the unbinding attack described by Lei et al. on the Memon and Wong protocol and we identify a new unbinding attack on the protocol proposed by Shao.